Power electronics is the functioning of solid-state electronic devices for controlling and conversion of electrical power from one form into another form. Solid-state-electronic devices such as TRIAC, Thyristor, Silicon controlled rectifier, diode, and Power MOSFET, etc come under the power electronic category. The advantages of power electronic devices include their smaller size, High efficiency, low cost and lesser weight. With the advantages of electronics, power electric and electronic engineering students opting to submit their case study in this field. This will help them to create an innovative design of a high power system. 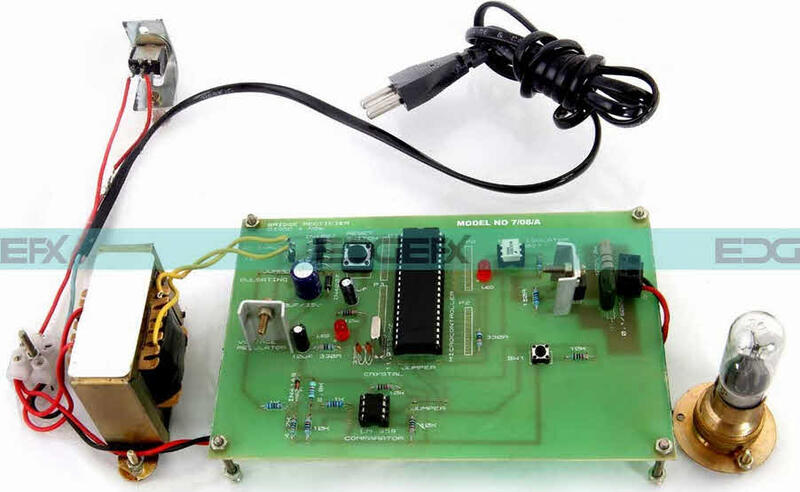 Thus, to make their studies more interesting, in this article, we are listing out some of the power electronics project ideas for final year engineering students,. This may give them a better idea of selecting the projects for their final year. Power Electronics is the art of converting electrical energy from one form into another form in a clean, efficient, robust and compact manner for the convenient of its utilization. It deals with the designing, computation, control, integration of nonlinear systems. The control of energy can be done with the help of solid-state electronic devices, such as Thyristor, TRIAC, Silicon controlled rectifier, Power MOSFET and diodes, etc. So, we can say that it refers to a subject of research in electrical and electronic engineering. 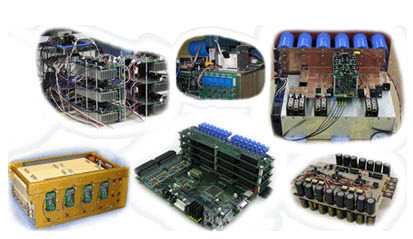 The following are some of the interesting projects on power electronics for engineering students. The main objective of this project is to keep up a precise illumination of the lamp and for maintaining the illumination of the lamp. 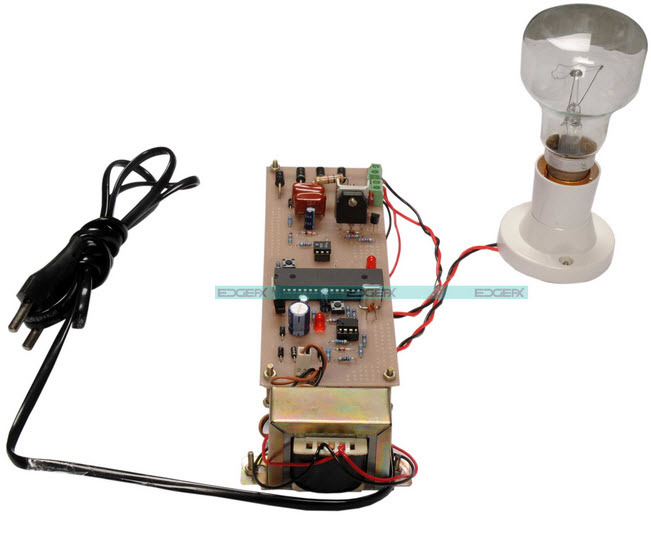 For this, a Thyristor controlled lamp is used along with the 8051 microcontroller. This system is designed by using a 8051 microcontroller and is based on the principle of firing angle control of Thyristors. This in turn can control the illumination of the lamp. A matrix keypad is used to enter the desired percentage of illumination by the user. Based on this input, the microcontroller automatically adjust the power which is delivered to the lamp through a solid state switching mechanism. Then, finally this illumination is displayed on LCD display. The main purpose of this project is to develop a home-automation system with an RF controlled remote. Day by day technology is advancing and modern houses are also getting smarter with Rf controlled switches in place of conventional switches. Nowadays, as conventional switches are mostly confined to places where it is quite difficult for a user to go near them and operate. This is problematic especially for the physically handicapped and elderly people. This RF based home automation system provides a better solution. In order to achieve this, at transmitter side an RF remote is interfaced to the 8051 microcontroller which sends ON/OFF instructions to the receiver wherein loads are connected. At the transmitter side, switches are arranged to operate the loads remotely through wireless communication technology. The loads are interfaced to the microcontroller using Opto-Isolators and Triacs. This project is designed to develop a new speed control system for a single phase AC induction motor. It indicates the design of a high-efficiency and low cost drive, which is capable of supplying a single phase AC to an induction motor with reference to a PWM sinusoidal voltage. The operation of owl circuit is controlled by 8051 microcontroller. In this project, a zero detector crossing circuit is used to change the sine pulses into square pulses. The device is intended for substituting the commonly used TRIAC phase angle control devices. The main goal of this project is designed to control AC power to a load by using firing angle control of the Thyristor. This control system efficiency is high compared to the other systems. The operation of this system is controlled by Android application-based smart phone or tablet with a GUI by touchscreen technology. This project includes a zero detector crossing unit which detects the output and the result is fed into the microcontroller. The levels of AC power to the load are adjusted by using Android application and a Bluetooth device. 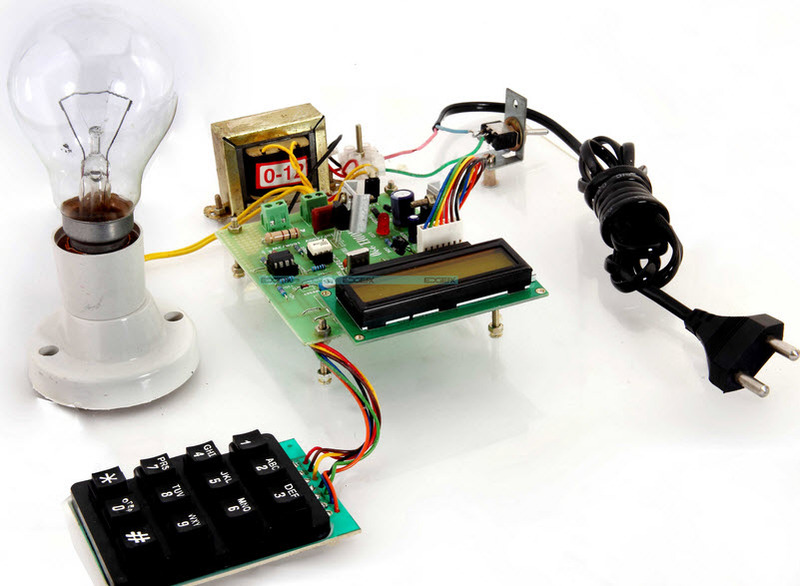 This project increases the life of incandescent lamps. In cold climate conditions, these lamps exhibit low resistance and may direct to high current if the lamps remain switched ON and final results in failure. 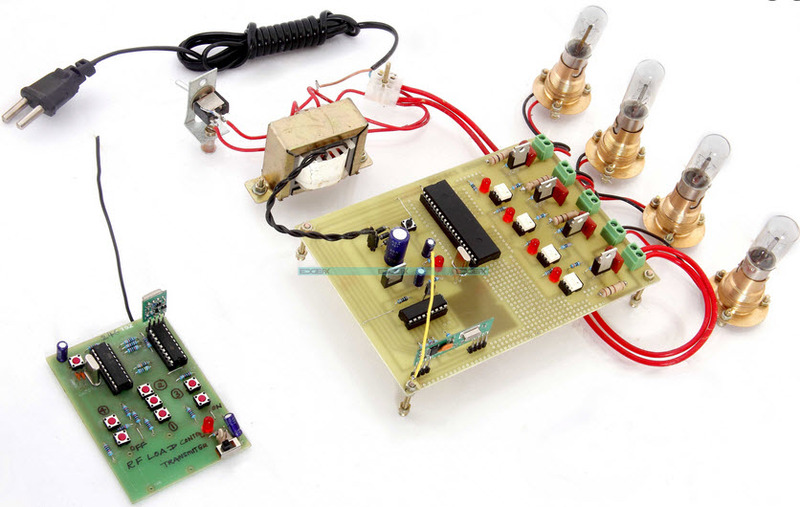 This project gives a solution to the failure of accidental switching of the lamps by engaging a TRIAC. In this, lamp remains switch ON at the particular level of the voltage, essentially after noticing the zero crossing point with respect to the voltage supply waveforms. These are the latest power electronic project ideas for final year engineering students, which can be used in various applications such as medical equipments, transportation, etc. We are glad about the efforts of our readers for their valuable time on this article. Apart from this, for any help regarding any robotic projetcs or electrical and electronic projects or Arduino based projects or microcontroller based projects, or GSM based projects you can contact us by commenting in the comment section below. 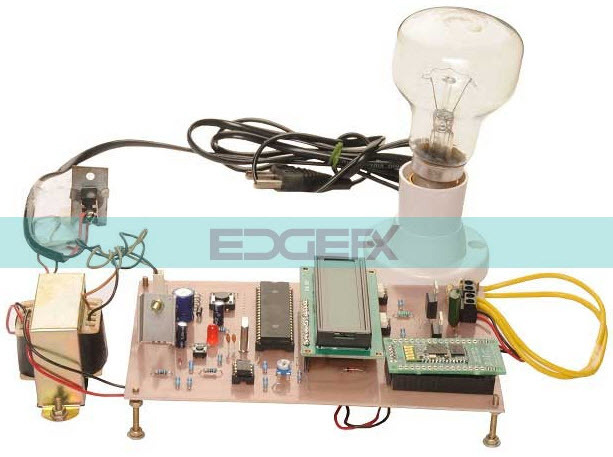 Please follow the link: http://www.edgefxkits.com/arduino-projects/ for Arduino based projects. Please check the user friendly website http://www.edgefxkits.com for complete details in the kit content section: http://www.edgefxkits.com/kitdetails/ and go through the FAQ: http://www.edgefxkits.com/contact-us/#faq for details. Further if you have any queries you can mail us at info@edgefxkits.in or please call on the toll free no. 1800 108 7475 for clarifications/personal counseling. sir please give me some project idea on Industry defined problem in ship project. hello sir please suggest me industry defined project which based on power electronics & microcontroller. please suggest me projects related to digital rural India. Sir, please give idea about fyp project related to electrical power engineering which is use in industry and also not expensive.I am from Pakistan.